a pursuit . . .
than it ever has been done before. 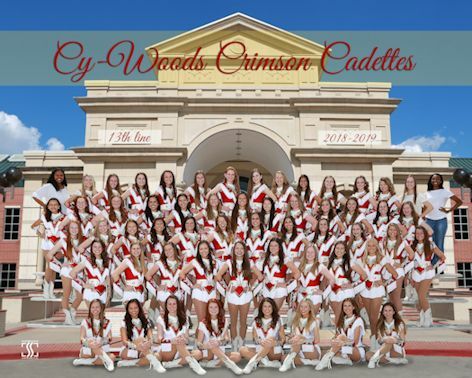 Lauren Reilly Gregory is the director of the Cypress Woods Crimson Cadettes. Lauren has lived in the Houston area her whole life and has danced since she was 3 years old. She attended Elkins High School in Fort Bend ISD and was a member and dance officer of the national champion Elite dance team. She was elected by her classmates as the "Knight in Shining Armor" for her class and the Most Outstanding Senior of the Elite dance team. After high school she went on the Texas State University in San Marcos, Texas. While at Texas State she was a 4 year member of the Texas State University Strutters dance team and a 2 year line officer. While on Strutters she had the opportunity to perform and travel to Greece, Italy, and Turkey. She performed in halftime performances for both the New Orleans Saints and San Antonio Spurs. At Texas State she was very active in both the education department and dance department. Lauren was also a member of the sorority Alpha Xi Delta and the Sigma Chi fraternity Sweetheart. Lauren was also a member of the honor society Rho Lambda and also a tutor for local elementary school students thru the Bobcat Buddy program. 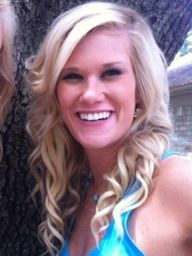 Lauren graduated in December 2009 from Texas State with a major in Education and a minor in dance. Upon graduation she was offered a job as a dance teacher and assistant dance team director of the Hightower High School Hi-Lites in Fort Bend ISD. While at Hightower she taught all levels of dance classes and helped found the Junior Varsity and Freshman dance teams. Lauren currently hold Texas teacher certifications in dance, elementary education and physical education. Lauren also has a younger sister who is a drill team assistant director in Klein ISD. Lauren is current member of the Texas Dance Educator's Association. She frequently choreographs and judges tryouts for many studios, soloists and drill teams in the area. Lauren also recently married her high school sweetheart, Adam Gregory in 2014.